Offshore Drilling Service Industry The offshore drilling industry is a multi-billion dollar per year enterprise. While leading players like Transocean (NYSE:RIG), Diamond Offshore (NYSE:DO), Ensco (NYSE:ESV) and Noble (NYSE:NE) represent a significant percentage of the operating rigs, there are dozens of smaller players throughout the world and the market capitalization of the publicly-traded companies in the sector exceeds $50 billion. Offshore Day Rates: Offshore drilling revenue is a function of day rates and utilization rate, with day rates representing the price and utilization representing volume. A Offshore Day Rates is the amount of money that a company receives for a day's drilling activity. Like any price, Offshore Day Rates is a function of both demand for a service and the cost of providing it - rates typically move up quickly when demand spikes, and specialty equipment (used in difficult or harsh conditions) always carries a premium. Largest Offshore Drilling Comapnies Drilling contractors are the people who provide the equipment, people and expertise to drill the wells, which can be either offshore or onshore. Most of the companies listed below are offshore drilling contractors, as that is what this site is about. There are some onshore companies included. An Indo US joint venture providing offshore exploration and production services. Employs 5,000 plus. Leading independent oil and gas exploration and development company. Engaged in the business of international offshore drilling and completion of exploratory and developmental oil and gas wells as well as related support, management, and consulting services. With a modern fleet of 388 offshore vessels and 111 units on order as of June 30, 2010, the BOURBON Offshore Division, backed by 7,200 qualified employees (office workers, officers and seamen), offers a comprehensive range of highly productive innovative offshore oil services vessels. BP is one of the world's leading international oil and gas companies, providing its customers with fuel for transportation, energy for heat and light, retail services and petrochemicals products for everyday items . Organizes for the exploration, development and production of offshore petroleum and natural gas resources and refining of petro-chemical and and natural gas processing. 21,000 plus employees. A drilling and well service company operating a jack up and semi submersible in the Mediterranean. Deepwater projects, Platform inspection and repair, Drilling and construction. Operates in six of the world's seven continents with a fleet of 30 semi submersibles, 14 jack-ups and one dynamically positioned drillship. Diamond employs 3,500 plus men and women worldwide with offices in Houston, Louisiana, Africa, Australia, Brazil, Indonesia, Scotland, Singapore and the Netherlands. Provides exploration and production services to the offshore oil and gas industry building on 150 years experience in shipping and more than 35 years in offshore drilling. The Company focuses on rewarding long term customer relationships where innovative and integrated solutions are presented to the benefit of our customers, shareholders and employees. One of the leading offshore oil and gas drilling contractors in the world with a fleet of 56 offshore drilling rigs and 27 oilfield support vessels. A regular participant of all oil and gas development projects in offshore Sakhalin. We plan extending the sphere of our traditional fleet activities as well as mastering new opportunities. One rig working in the Far East, three in the Persian Gulf. Crews and international personnel are mainly hired through a subsidiary in Cyprus. Owns and operates12 platform rigs and manages 4 offshore management contracts in the Gulf of Mexico and the West Coast Santa Barbara Channel. H&P's diverse offshore fleet consists of deepwater tension leg platform (TLP) rigs, self moving rigs and traditional self contained platform rigs. Drilling and prospecting for oil and gas onshore and offshore. Operates in Indonesia, Asia and Oceania, the Middle East and West Africa as an offshore drilling contractor. JDC has also been providing engineering services related to research and development in oil and gas drilling and exploration as well as methane hydrate development, and in recent years has offered technical assistance for deep-sea drilling projects. The UK's largest drilling contractor employing some 3,500 staff worldwide. In addition to its substantial North Sea platform drilling operations, KCA DEUTAG has undertaken international projects in some of the most demanding environments of Central Asia, the Middle East and North Africa and this has proved extremely beneficial in some of its new operating areas such as Azerbaijan, Iran, Siberia and Sakhalin Island. Drilling and floating production are our main services, but we are also experienced within protection against H2S and environmental services. Maersk Contractors employs an international staff of more than 5,000 well-trained people together with our affiliate, Egyptian Drilling Company. Operates a fleet of vessels, jack-up accommodation rigs and early production facilities that provide a wide range of specialized services to the offshore oil and gas industry. The largest land drilling contractor in the world. One of the largest well-servicing and workover contractors in the United States. A leading provider of offshore platform workover and drilling rigs. A provider of ancillary well site services such as oilfield management, engineering, transportation, construction, maintenance and well logging. Drilling, exploration, exploitation, extraction, production of oil, gas and petroleum products offshore and/or onshore. Neptune Marine's business strategy is to acquire, reactivate and operate second-hand drilling units. Primary market focus on drilling operations in the Mediterranean, Black Sea, Middle East, India and South East Asia. Owns and operates semi-submersible drilling rigs in the North Sea and is also a leading platform drilling contractor with operations on fixed and floating production platforms. A global drilling company providing drilling rigs, labor management and rental tools to the energy industry. Parker's primary business segment is drilling rigs with 33 in the United States Gulf of Mexico and 46 internationally. The company’s international rig fleet consists of barge rigs in the Caspian Sea and Nigeria and land rigs in 12 countries. Pride International (NYSE: PDE) was a world leader in both land and offshore contract drilling services for the oil and gas industry. World's leading owner and operator of semi-submersible service rigs, the largest platform drilling contractor in Norway and a major owner and operator of floating production- and storage vessels outside the North Sea. The second-largest provider of onshore contract drilling services to exploration and production companies in North America. The company owns 324 land-based drilling rigs and is also engaged in drilling and completion fluid services and pressure pumping services. Owns and charters drilling vessels for offshore, deepwater oil and gas exploration and development drilling. It intends to continue to expand its current rig fleet through a strategy of acquiring, refurbishing and selectively deploying offshore drilling rigs and drillships on fixed-rate, long-term contracts. Maintains a fleet of 240 plus land rigs working in Canada and other countries, making the company one of the largest land drilling contractors in the world. 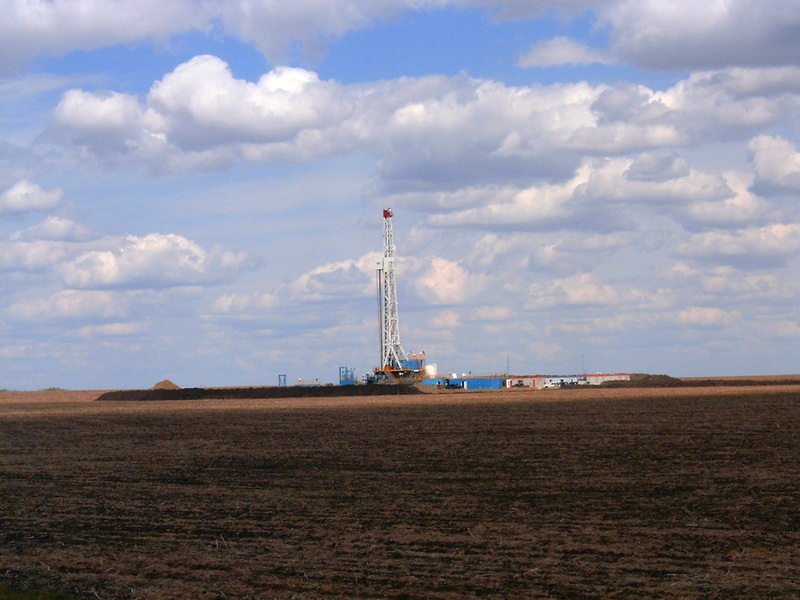 Operations include drilling, catering, well servicing and oilfield rentals. One of the world's largest drilling contractors providing offshore and onshore drilling, workover and related services in more than 30 countries. Fleet of 328 rigs includes 2 ultra deep water drillships, 12 semi submersibles, 35 jackups, 5 tender assisted rigs, 3 barge rigs, 21 offshore platform rigs and 250 land based drilling and workover rigs. Prosafe is the world´s leading owner and operator of semi-submersible service rigs and a major owner and operator of floating production and storage vessels. Operating the most technologically advanced equipment and vessels on the market, Saipem drills wells, installs offshore platforms and production systems, and lays onshore and subsea pipelines in some of the world's deepest waters and most hostile climatic conditions, while adhering to the highest health, safety and environmental standards. Seadrill is a Norwegian-Bermudan offshore drilling company with operations in Angola, Brunei, the Republic of Congo, Indonesia, Malaysia, Nigeria, Norway, Thailand and the United Kingdom. The company operates Semi-submersibles, Jack ups, Tender rigs, Semi-Tenders and Drillships. The company is domiciled in Bermuda and is listed on Oslo Stock Exchange and the New York Stock Exchange. Operational headquarter is situated in Stavanger, Norway. Other major company locations are found in Singapore, Houston and Aberdeen. John Fredriksen has a major ownership in the company. Operates 5 semi submersibles in the North Sea, the Far East, Asia, the Caribbean, South America, Australia and West Africa. Tesco Corporation is an Industry leader in the development and commercialization of drilling technology and services. The Corporation’s mission is to change the way wells are drilled; by reducing drilling risk and increasing operational efficiency TESCO generates real value for its customers.